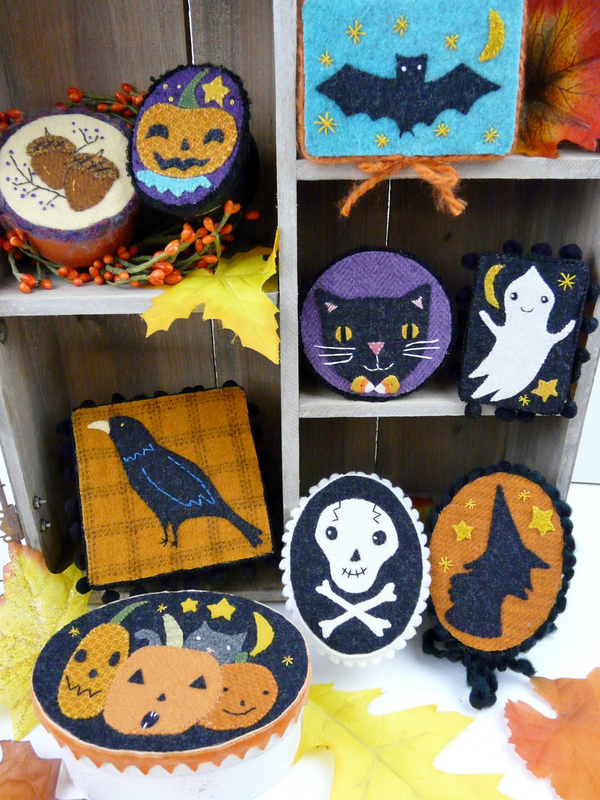 Stitch up the spookiest treat boxes ever... they are made from wool or felt, with easy whip stitching and embroidery. 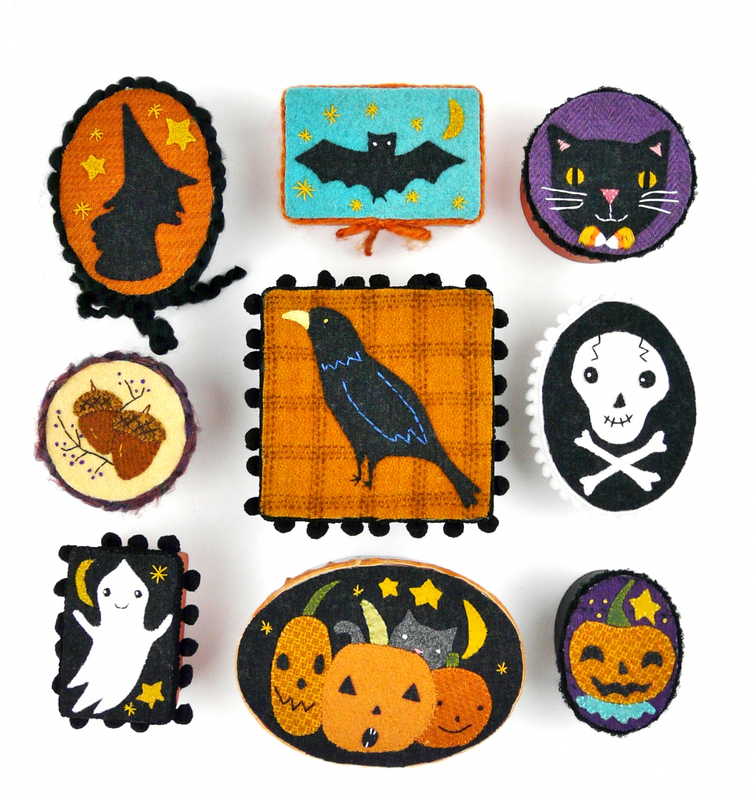 Each design fits on little paper mache boxes (those really inexpensive boxes at all the craft stores). 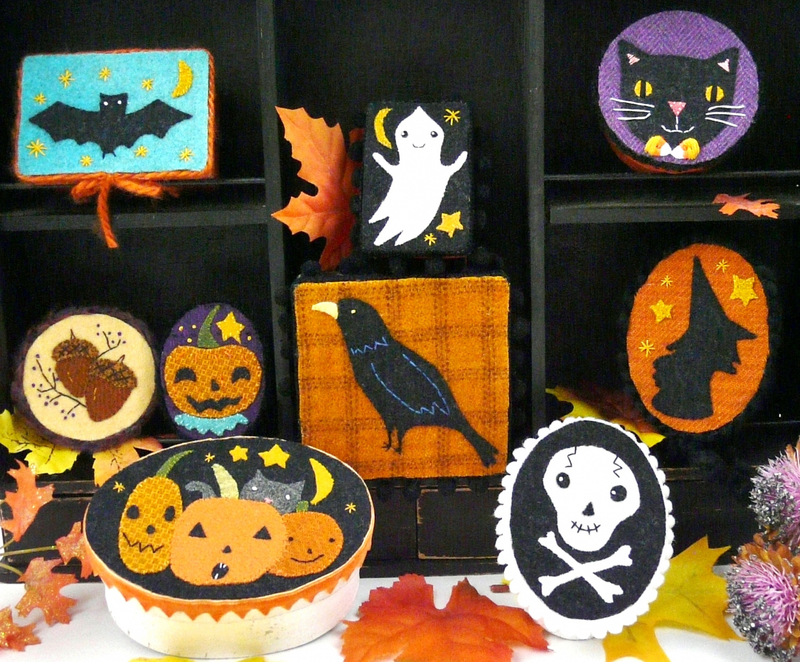 ***They are also lovely made into wearable pins, magnets or as ornaments. 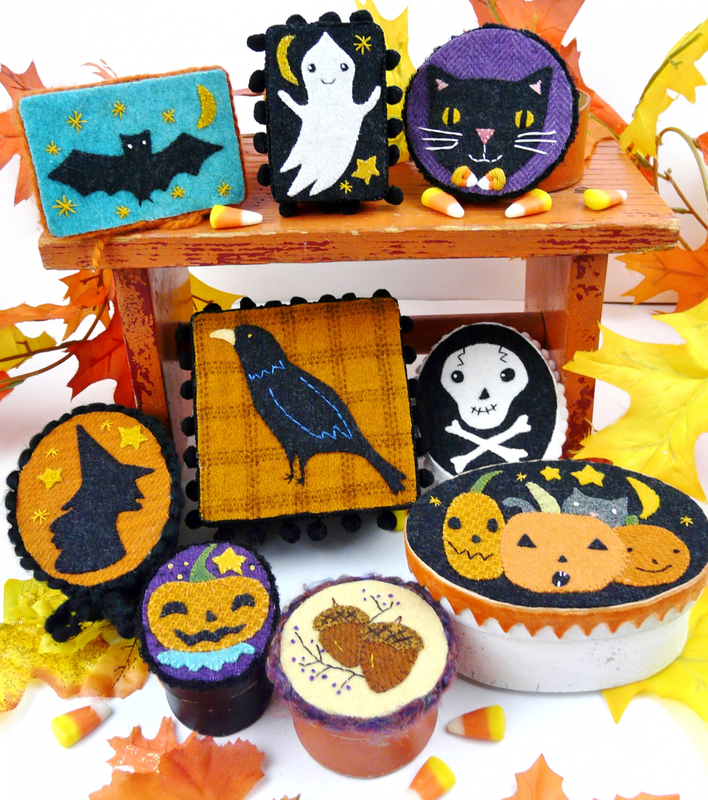 There is a black crow, Spooky witch silhouette, Smiling Jack, Happy cat, Ghost, Skull, Acorns, bat, and 3 pumpkins with a cute cat. 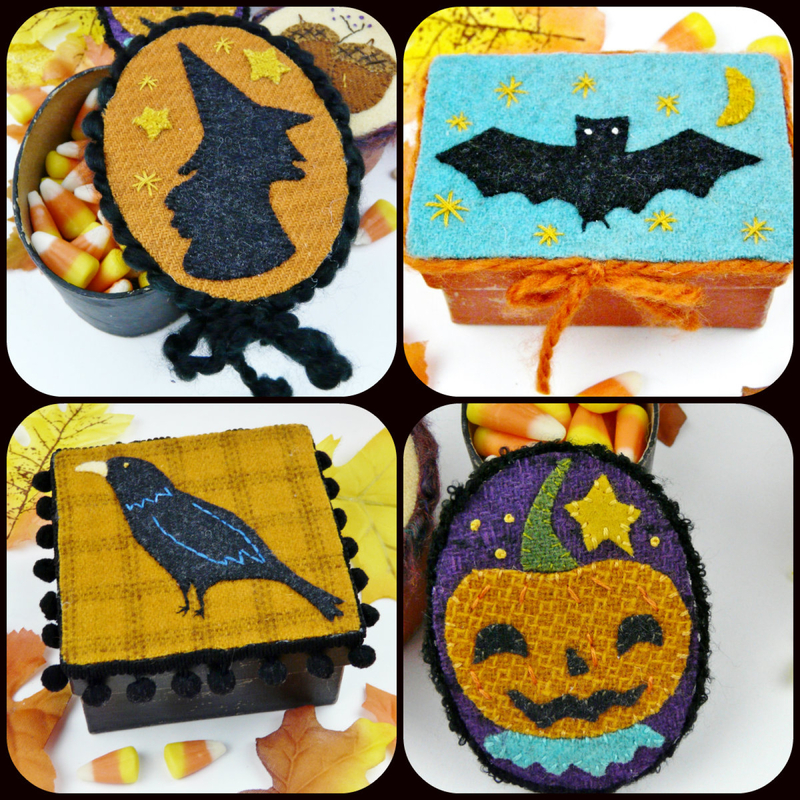 to 2 1/4" x 3" or 2 1/2" x 2 1/2"
**These finished Halloween designs would also look great as package ties, on the front of a basket or jar, pincushions (made as the pin and then stuffed with polyfil stuffing or crushed walnut shells), or hanging on a knob or hook. 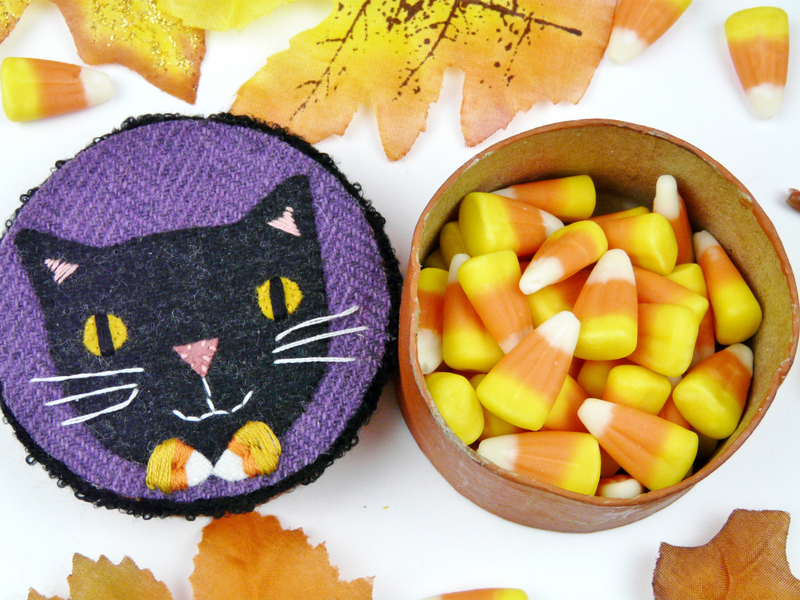 Fill the boxes with treats like candy corn, chocolates, or little toys. The boxes make great gifts and friendship swaps.